Wed., 29 May - Fri., 28 Jun. Tue., 3 Sep. - Sun., 15 Sep.
See all 244 properties in Odessa Intl. 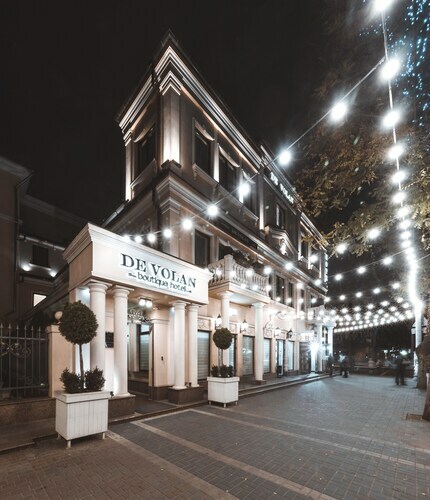 Located in Odessa City Center, this luxury hotel is within a 15-minute walk of City Garden, Palais Royal, and Odessa National Academic Theater of Opera and Ballet. Gold Coast Beach is 7.3 mi (11.8 km) away. 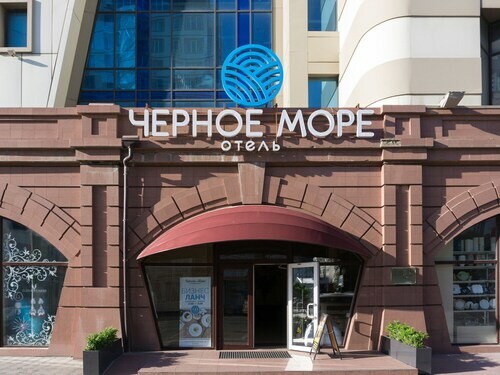 Located in Prymors'kyi district, this hotel is within 1 mi (2 km) of Saint Preobrazhensky’s Cathedral and City Garden. Potemkin Stairs is 1.7 mi (2.8 km) away. 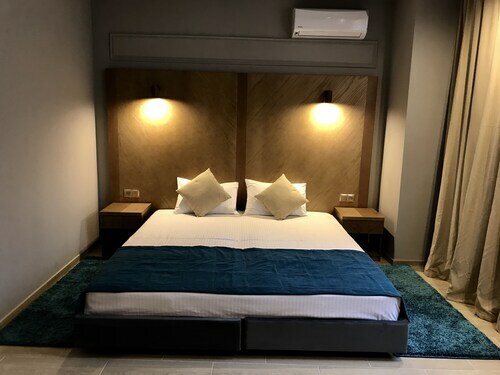 Located in Odessa City Center, this luxury hotel is within a 15-minute walk of Odessa Archaeological Museum, Potemkin Stairs, and City Garden. Literature Museum and Primorsky Boulevard are also within 10 minutes. 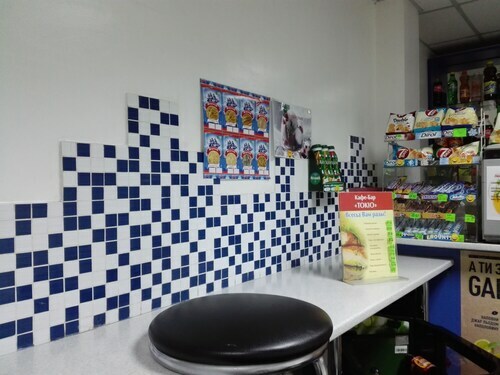 Located in Odessa City Center, this hostel is within 2 mi (3 km) of Odessa Academic Theater of the Musical Comedy, City Garden, and Potemkin Stairs. Palais Royal and Athena are also within 2 mi (3 km). Located in Odessa City Center, this hotel is within 1 mi (2 km) of Athena and City Garden. Potemkin Stairs is 1.5 mi (2.4 km) away. 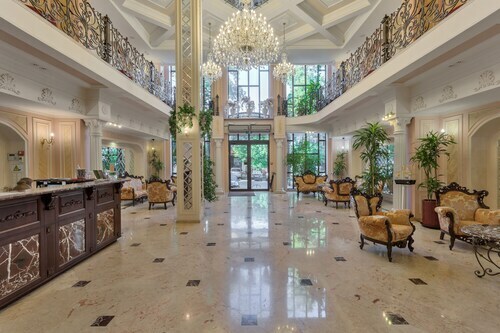 Located in Odessa City Center, this hotel is within 1 mi (2 km) of Saint Preobrazhensky’s Cathedral and City Garden. Potemkin Stairs is 1.5 mi (2.5 km) away. 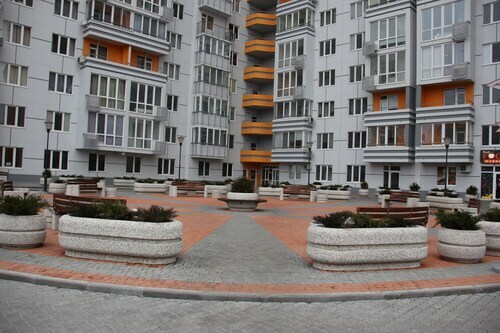 Located in Prymors'kyi district, this aparthotel is within 3 mi (5 km) of Odessa Academic Theater of the Musical Comedy, Potemkin Stairs, and City Garden. Shevchenko Park and Odessa Archaeological Museum are also within 3 mi (5 km). This family-friendly Odessa hotel is located in the historical district, just steps from Odessa National Academic Theater of Opera and Ballet and Palais Royal. Ekaterininskaya Square and Potemkin Stairs are also within 10 minutes.